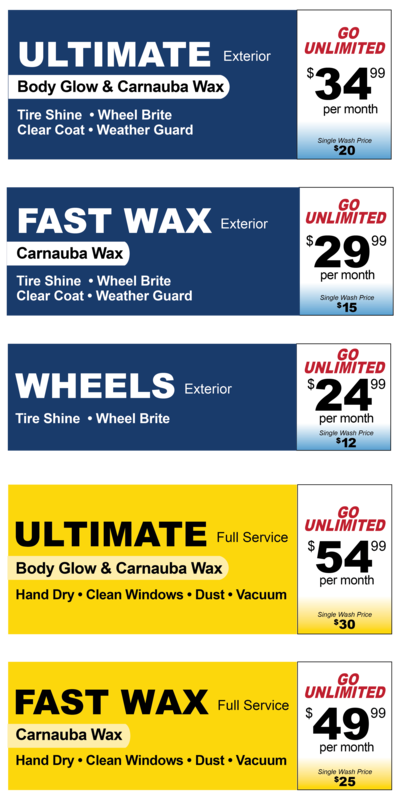 NOTE: EXPRESS CAR WASH UNLIMITED WASH CLUB CANNOT BE USED IN CONJUNCTION WITH ANY OTHER DISCOUNTS. PUBLIC TRANSPORTATION VEHICLES SUCH AS TAXI AND LIMO SERVICES ARE PROHIBITED. LIMIT ONE VEHICLE PER MEMBERSHIP. MEMBER MUST NOTIFY EXPRESS OF ANY CHANGE IN VEHICLE OWNERSHIP. MEMBERSHIPS CAN BE PURCHASED AT CAR WASH.